STEP UP FOR OPEN: Not long ago, the Department of Education issued a Notice of Proposed Rulemaking (NPRM) around their interest in openly licensing educational materials funded by their direct competitive grants. Now, it’s crunch time. Comments to the Department are due by the end of the day tomorrow, Friday 12/18. We know they’ve received a number of comments both in support of the proposal and against it, so if you haven’t taken the opportunity to tell the Department how you feel, this is your chance. Every bit of feedback will help ensure they adopt the strongest possible policy, so we encourage you to consider weighing in. ELEMENTARY, SUCCESS: Congress has passed, and the President has signed, a bipartisan bill to reauthorize the Elementary and Secondary Education Act. The bill update became due in 2007, and lawmakers have been working on the draft since 2010, so it’s long overdue. Besides significant changes to the No Child Left Behind policy era, the bill also includes a new OER provision in the multi-billion dollar State Support and Academic Enrichment Grant program. Looking forward, states may use that funding to support districts in making instructional content available as OER. “In the end, perhaps OER will be one of the most significant and substantive ways that technology will transform teaching and learning. STATE OF THE COMMONS: Creative Commons has released their second annual State of the Commons report, which finds that over 1.1 billion CC licensed works have now been contributed to the shared global commons, up from 140 million in 2006. A NEW CLASS OF FELLOWS: The Open Policy Network just announced 16 new fellows to carry the open policy torch – including one from the US. STAFF CHANGES AT ED: Rich Culatta, Director of EdTech at the Department of Education, announced that he’s stepping down this month. Rich was a staunch supporter of open education during his tenure, and he’ll be missed. Deputy Director Joseph South will serve as acting director – also a champ of open education. The change comes in parallel with Secretary Arne Duncan’s retirement and John King moving into that role. It’s Thursday, December 17th. Ethan Senack here. It’s 60 degrees in DC, and I’m bummed. Coming from New England, it’s just not the holidays if it’s not freezing outside. 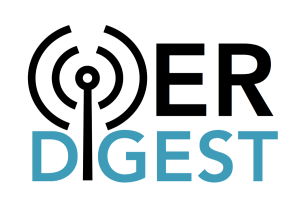 Don’t forget to send tips, updates, opportunities, and feedback to @HigherEdPIRG or esenack@pirg.org with the subject “OER DIGEST”. A PROGRAM THAT’S WORKING: The OER project at North Shore Community College was launched by a campus “Vision Fund Innovation Grant” for $5000. The idea? Bring together resources on campus to help faculty identify OER for their classes. Thirty faculty attended the first summit, with ten formally applying to participate in the first semester, and five more in the second. These faculty receive a $600 “Tech Across the Curriculum” grant and are matched with an advisor from the Instructional Design Lab and a librarian, to work on replacing their texts with OER or other affordable alternatives. And while the 15 faculty are formally have saved students a modest $20,000, many others on campus are now following their lead – expanding into OER and working to get special notation for OER-based courses in the catalog. Have a story you’d like featured? Email it to esenack@pirg.org.